All of the lyrics in these songs were written and masterfully crafted by Josh Dexter. Most of them are duets he and I have sung together. 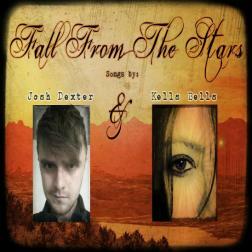 A big thank you to Josh and all the wonderful musicians involved in these tracks. This is a very great example of artistic collaboration of "Jam" ! Kelly, Josh you are awesome, your performances are so effective. And this "Don't Blink" was written for Kelly !